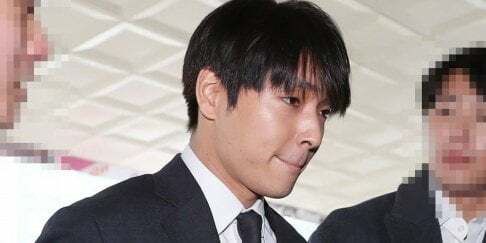 On October 19 at 11 AM KST, The East Light's leader Lee Suk Chul appeared in front of the press with his legal representative, and gave a full testimony regarding the violence and abuse that he and his band members suffered. Lee Suk Chul said, "From 2015 through 2017, I was habitually hit by Yoon Young Il PD with a baseball bat. I was constantly told that if I told my parents, he would kill me. My younger brother [and band member] Lee Seung Hyun was beaten while locked up in a studio on the 5th floor. Fellow member Lee Eun Sung bled many times after being beaten with a bat. The label's chief director Kim Chang Hwan did not prevent these actions, but only commented, 'Go easy'. Director Lee Jung Hyun made us go on broadcasts with our wounds untreated. My younger brother and bassist Lee Seung Hyun is currently receiving psychiatric treatment after developing trauma from these experiences." Lee Suk Chul added in tears, "Even now, it is difficult as I was threatened with the lives of the other members on the line. I was abused with guitar cables around my neck, getting choked to the point of bruising and scarring if I made mistakes. My parents saw my scars, but I wasn't able to consult them due to the threats." [Additional testimony from the press conference] "We are people who stand on stage and appear in front of the public. So we thought that it would be wrong to show our scars from the violence and abuse. Just like that, we continued to be beaten in our waiting rooms, and my brother Seung Hyun once had his own food thrown in his face. Even so, we vowed to ourselves to show the public our smiles. We came to these decisions on our own, just us members. Behind the scenes, we were always victims. When I think about how we smiled on stage, it still hurts me and upsets me." Lee Suk Chul wrapped up his testimony with, "As the leader of The East Light as well as a K-Pop singer, I could not sit and watch any longer, and I decided to attend this press conference today in the hopes that abuse and assault of minors in the K-Pop scene will disappear from here on." Additionally, Lee Suk Chul addressed his plans to take legal actions against the Media Line Entertainment PD and executives. "Our members as well as our parents asked the label to take preventative measures. The label promised that there would be no more contact [between the band and the PD], but one month later, the the same actions were repeated. I'm not sure how to address the legal action portion currently, as it is difficult for me to give a statement regarding the other members. However, in the case that I must participate in legal investigations, I will do my best." Lee Suk Chul's lawyer then stepped forward to reveal, "Currently, Lee Suk Chul and [younger brother] Lee Seung Hyun are preparing to take legal action against the company. Their parents have been preparing for it for over two weeks. Because the other members are still minors, we are taking precautions in discussing this matter with them." Yesterday, Media Line Entertainment issued a statement claiming that this matter was resolved between the band and the company; however, it seems the band members are still in disagreement with the label. What a brave kid honestly the courage it takes not only to come forward but to hold a press conference detailing the abuse you and your members have gone through takes strength. I hope every single person who took part in their abuse serves jail time and the company itself is forced to pay for the damages.